"It was great working with the fantastic team MMC. A highly professional and friendly team who provided a smooth delivery, on time and on budget and a pleasure to work with. I highly recommend MMC." 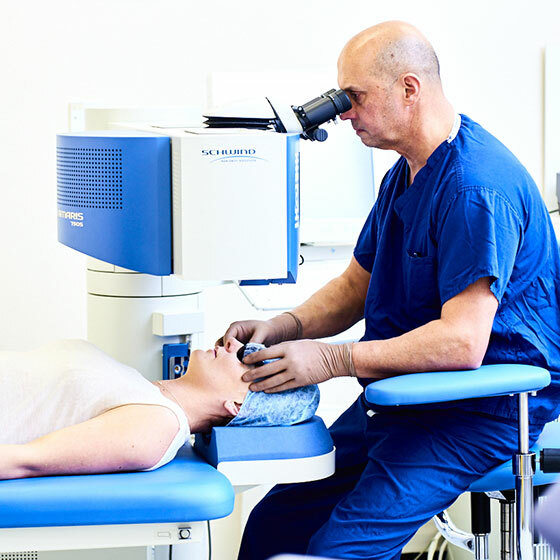 Sunderland Eye Infirmary’s laser eye surgery centre, site for eyes, offers the most advanced ophthalmic refractive eye surgery. Their previous website was out of date, had no tracking on and no way for the general public to engage with them online. MMC worked alongside Courage Creative to create a spec for a user-friendly website that would be accessible to all types of patients as well also including all the information that was typically included in a brochure. The concept was to move everything online but provide the option for brochure downloads. Included in the project was project management, website specs, copywriting, photography, web design and brochure design. Organic traffic continues to increase to the site for eyes website at a rate of a 10% uplift month on month. Decisions from initial enquiry through to booking appointment is faster due to the detailed information available contained on the website.